Imbibe – Classic, Pre-prohibition, Contemporary. Last night, I was feeling creative so I went on to create some cocktails. Stir in Shaker tin then Strain into Champagne Saucer (Picture Below). Don’t add ice like mine. 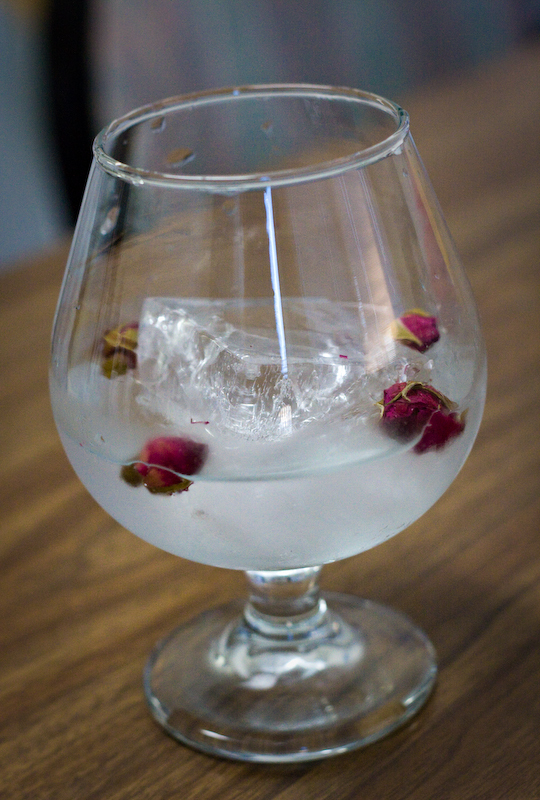 Garnish with a rose petal or a few rose buds. I haven’t experimented with fruits yet but I’m sure this would mix well with muddled raspberries etc. 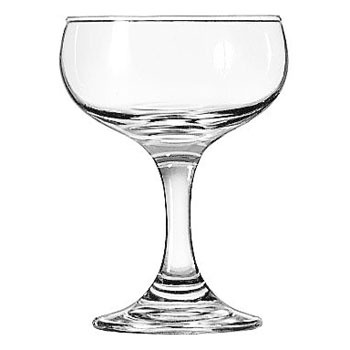 I don’t have any Champagne Saucers at the moment but they are really great for cocktails that you would want to emphasize on the fragrance. This entry was posted in Experiments. Bookmark the permalink.